Unlike much of Capitol Hill, Congressman Peter Welch (D-Vt.) says he wasn't altogether shocked by House Majority Leader Kevin McCarthy's (R-Calif.) sudden withdrawal Thursday from the race to succeed House Speaker John Boehner (R-Ohio). "As stunning as it was, I'm not surprised," the Vermont Democrat said. In recent days, according to Welch, Republican colleagues had told him they were getting "hammered" in their home districts over whether they would support McCarthy, who some viewed as insufficiently conservative. Even if he'd won Thursday's vote in the Republican caucus and another one later this month on the House floor, McCarthy would have struggled to wrangle the roughly 40 members of the conservative House Freedom Caucus, Welch argued. "It just would've been a repeat of the dilemma that Speaker Boehner faced, where he was constantly trying to appease that wing of the party," Welch said. "Where do they go from here is anybody's guess. The thing that's a concern for me is the legislative body has a job to do, and it's called legislating. And we're not doing that now." The problem, according to Welch, is Republicans' unwillingness to work with Democrats to advance bipartisan legislation. Instead, party leaders generally adhere to the so-called Hastert Rule, which prevents them from scheduling votes on bills that don't draw majority support from the majority party. "The Republican conference just has an existential decision to make: Are they going to continue working under this Hastert Rule, where they have to appease the most extreme right wing of their party?" Welch said. "Or do they want to govern?" The solution, he argued, would be for GOP House members to elect a speaker willing to break with the Freedom Caucus and work with Democrats instead. Ideally, such a speaker would be elected by a broad coalition of moderate Republicans and Democrats, Welch said. "I don't know if it could happen, but it's probably the right thing to happen," he said. 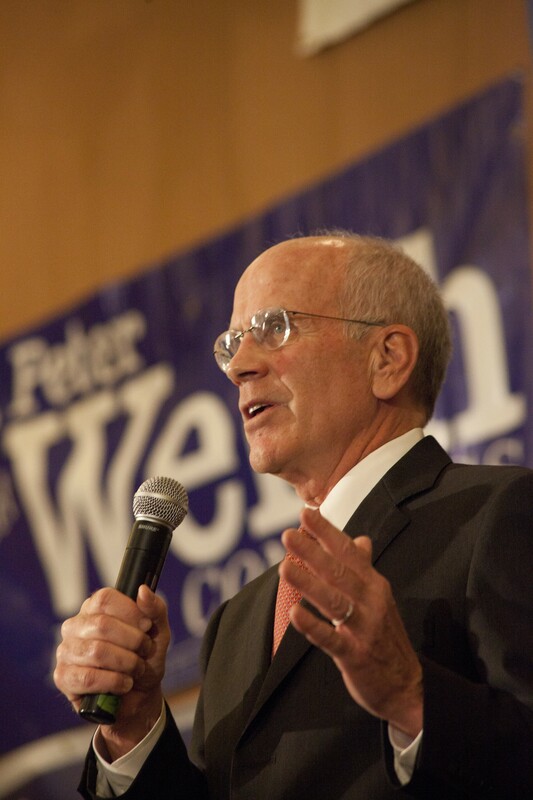 Welch said he could think of a "lot of people" who would find support from both sides of the aisle, but he declined to name any in particular. And though he fashions himself a bipartisan consensus-builder, Welch said he wasn't about to offer himself up for the speakership. "We don't have a game plan for that," he said. "That's just speculation."